Siemens Gamesa has been mandated to develop India’s first large commercial hybrid wind-solar project, where a 28.8-MW solar facility will be connected to an existing 50-MW wind farm. This is the first project of its kind for the company and evidences its determination to explore business opportunities that add value for its customers. Under the terms of the agreement reached with one of the country’s leading independent operators, Siemens Gamesa will provide an end-to-end turnkey solution. 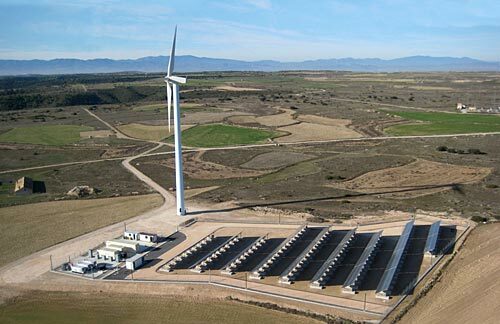 Specifically, it will handle the design, engineering and commissioning of the new solar plant (including the supply of photovoltaic inverters made by Gamesa Electric) and its hybridisation with an existing wind farm, equipped with the Siemens Gamesa turbines. The project, located in the in the state of Karnataka, is scheduled to be up and running by the end of 2017.